I’ve been spending a lot of time lately in WW II HF that I’ve ventured off to other eras and locations for the time being. Utah in the 1880’s is heavy with Mormons, the aftermath of the Mountain Massacre and killing of its leader, Joseph Smith, leaves a bitter taste for some. In a little place called Junction a late night caller sets in motion a series of events with everlasting consequences. I will admit at the beginning wondering if this book was for me. First off I was excited when the first chapter featured a male POV, it's not common so when it happens I get excited. 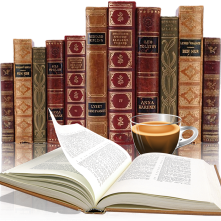 Of course, the whole book was divided between his (Nels) and Deborah’s story. Why was I a bit iffy you ask, well I found the first female chapter a little repetitive with the same feelings, emotions repeating itself. I found myself casing judgment on Deborah's character before really getting to know her. As the story progressed those feelings quickly disappeared. It wasn’t just a story of what was happening in the now but memories resurfaced where I got to know both Deborah and Nels better. How they ended up in this little place with few neighbors and away from Mormon communities. The author wove those jumps in time seamlessly, with an ease that made this story flow at a nice pace. 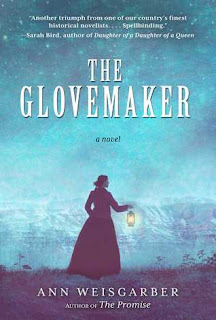 The Glovemaker is a unique mystery, it’s a story of survival, hope, and faith. Ann Weisgarber is a new author to me with her previous books now gracing my tbr pile. Definitely a book I recommend, especially to those that like a good historical mystery off the beaten path. My thanks to the publisher (via Netgalley) for an advanced copy in exchange for honest review.